Saving the bees seems to be trendy, but the pollinator problem is real. Making seed paper and seed bombs is a fun way to distribute local wildflower seeds for planting. Our campers made seed bombs one summer, and they loved it! 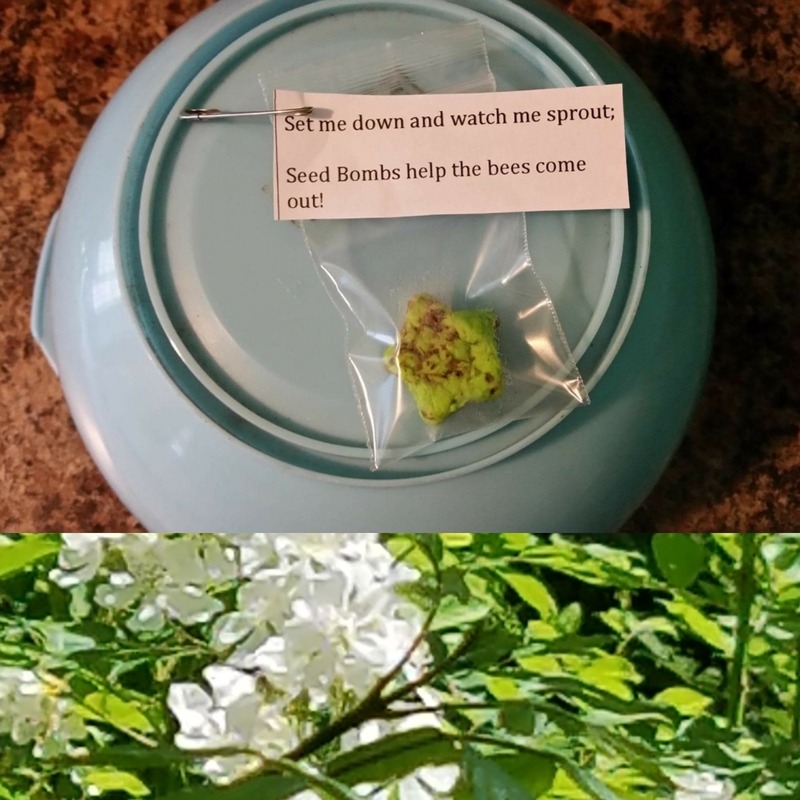 I love these seed bomb swaps created by Kai, a Junior Girl Scout who is working on her Bronze Award. This Juliette created two videos on how to twist a traditional swap into a service to help promote pollinators. Kai created two videos as part of her Bronze project that her mother shared as part of a Juliette Girl Scout sharing group. I was very impressed! Find other ways to help save the bees! !